Iran is hoping to join an international project in southern France that aims to build the first machine to generate significant amounts of energy using nuclear fusion, which is considered a clean, safe and virtually limitless form of nuclear power. Laban Coblentz, spokesman for the ITER project, said a high-level Iranian delegation led by nuclear chief Ali Akbar Salehi and Vice President for Science and Technology Sorena Sattari visited St. Paul Lez Durance on June 30-July 1, where the fusion device is being built. Coblentz said fusion-generated nuclear power has no significant weapons applications. Coblentz said in a telephone interview and email exchanges with The Associated Press this week that the six world powers who signed last summer’s nuclear deal with Iran to rein in its nuclear program — the US, Russia, China, Britain, France and Germany — encouraged Tehran’s participation in the ITER project. 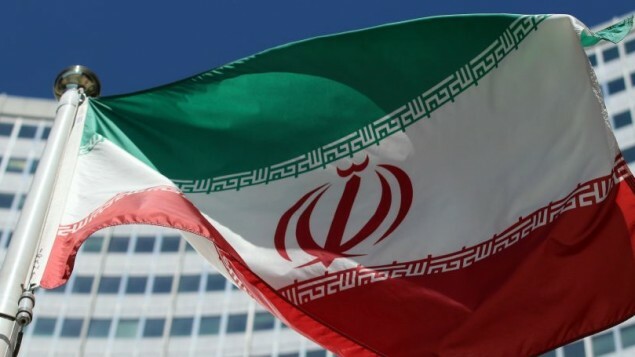 The six powers believe that Iran wanted to use its nuclear reactors — which are based on fission where atoms are split — to produce uranium for nuclear weapons, which Tehran denies. Coblentz said the Iranians are “very eager to get moving” and join the 35 countries collaborating on building the world’s largest experimental fusion machine called a tokamak. Iran has not made a formal application and new members must be approved unanimously by the ITER council which also includes India, South Korea and Japan who were not part of the Iran nuclear deal, he said. “But the ITER Charter makes it clear that ITER is a project open to any country that is prepared to have meaningful participation,” both technological and financial, Coblentz said. He said “it was clear from statements that Iran made that they view themselves as having a gap to make up technologically, but their first move is to understand what is the nature of that gap” and if they need to take any further steps before seeking membership. Iran’s nuclear agency announced in July 2010 that it had begun studies to build an experimental nuclear fusion reactor. Coblentz said Iran now has three small tokamak machines and is building a fourth. It also has about a hundred plasma physicists and about 150 scientists with doctorates in fields related to nuclear fusion “so they clearly have a serious academic program,” he said. The heart of a tokamak — invented by Russian researchers in the late 1960s — is a doughnut-shaped vacuum chamber where under extreme heat and pressure, gaseous hydrogen fuel becomes a plasma. That plasma is where hydrogen atoms can be fused to produce energy, and the particles can be controlled by massive magnetic coils placed around the chamber. The ITER project’s goal is to produce the world’s largest tokamak which can produce 500 megawatts of fusion power — far more than a European tokamak that holds the current record of 16 megawatts of fusion power. Coblentz said the best technically achievable schedule for making the ITER tokamak fully functional is 2025. How long it would then take to build a commercial fusion power plant will depend on “the level of political will and the sense of urgency,” he said.